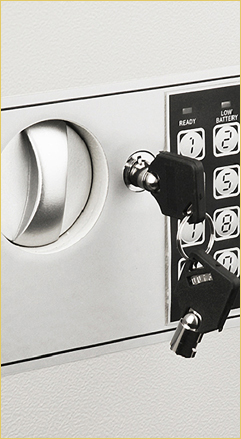 The Paragon Lock And Safes depository safes are the best value you will find in a secure, heavy duty gun safe. Business owners, protect your cash collections with our Federal Deposit line of heavy duty digital drop depository safes. Other business assets such as customer and transaction files, tax documents, custom software and data backups are essential to operating your business, and they require secure fire resistant storage. Loss of these assets causes expensive delays in operations, and frequently even business failure. 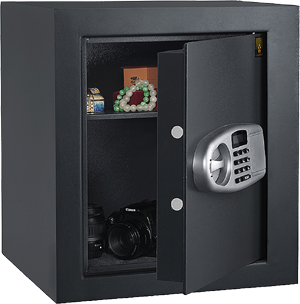 If you are considering a new safe, look no further. 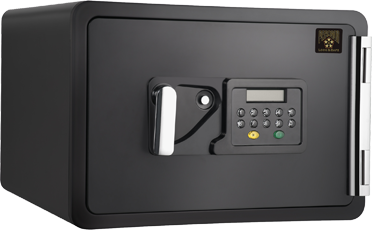 We are pleased to Introduce the Quarter Master FR7800 Digital Keypad Fire Resistant Home Office Security Safe by the Pentagon Lock and Safe Co. Easily store and keep valuables safe at home or office with this digital safe; works with included key or your own customized digital code you program. For added security, we've made the hinges concealed so they're tamper-proof. It is perfect for the home, office, or work place. Full 10 year warranty!